ESO Supernova Exhibition — How do we detect particles from space? How do we detect particles from space? Gamma rays and high-energy particles from space interact with atoms in our atmosphere. The resulting effects – faint glows and particle showers – can be studied from the ground. Gamma eye: The Cherenkov Telescope Array (CTA) studies cosmic gamma rays. 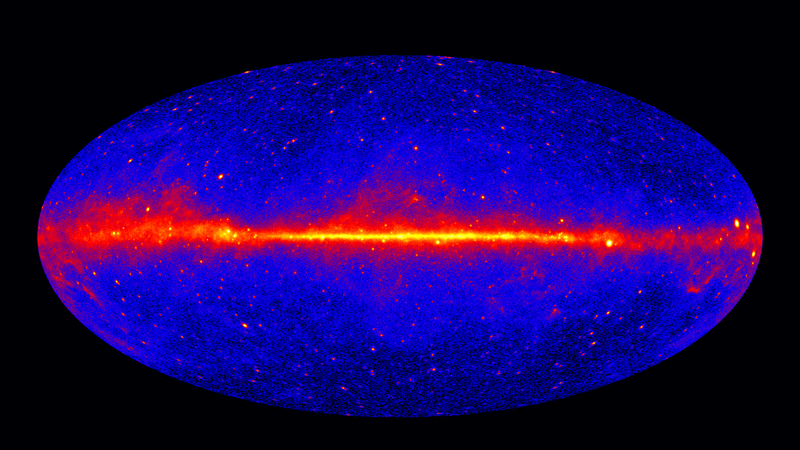 High-energy sky: Most sources of cosmic gamma rays are located in the Milky Way’s central plane, as shown by this sky map from NASA’s Fermi space telescope. 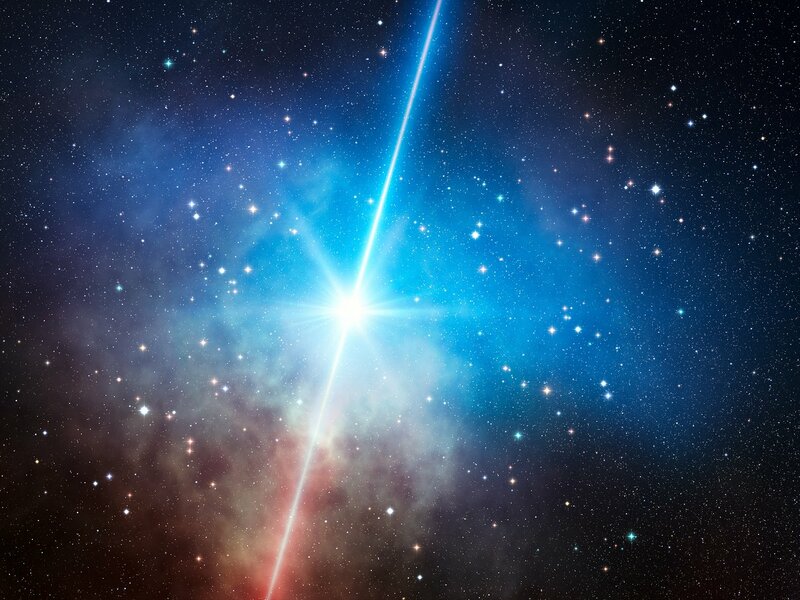 Biggest blasts: Lasting for a few seconds or less, gamma-ray bursts are the most powerful explosions in the Universe. Some are caused by colliding neutron stars (artist‘s impression). The highest-energy electromagnetic radiation is known as gamma rays. From space, gamma rays can be studied directly. From the ground, astronomers can only detect how they interact with atomic nuclei high up in the atmosphere. Together with high-energy electrons and protons from space (collectively known as cosmic rays), gamma rays produce a faint atmospheric glow — Cherenkov radiation — when they enter the atmosphere, as well as showers of secondary particles. By measuring these, we can track down the original cosmic messengers. Magic mirror: Close-up of the mirror of the MAGIC telescope on La Palma. MAGIC (Major Atmospheric Gamma Imaging Cherenkov) detects the faint atmospheric glow produced by cosmic gamma rays. Did you know that our Earth is constantly bombarded by powerful gamma rays and cosmic particles? 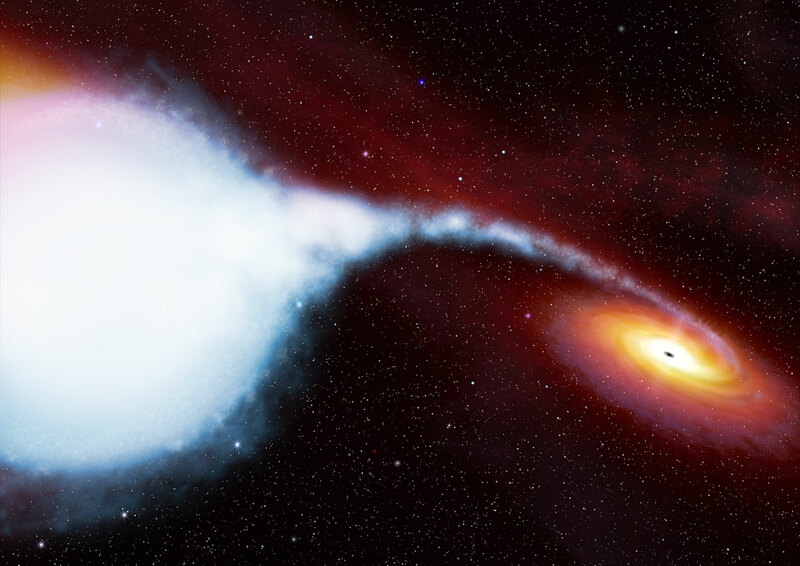 Astronomers study them to learn more about cosmic explosions.